Don’t get left cold and damp this spring. Small Solutions, LLC is a heating and air conditioning HVAC services company that serves Northern Virginia including Loudoun, Fauquier, Frederick and Clarke counties. 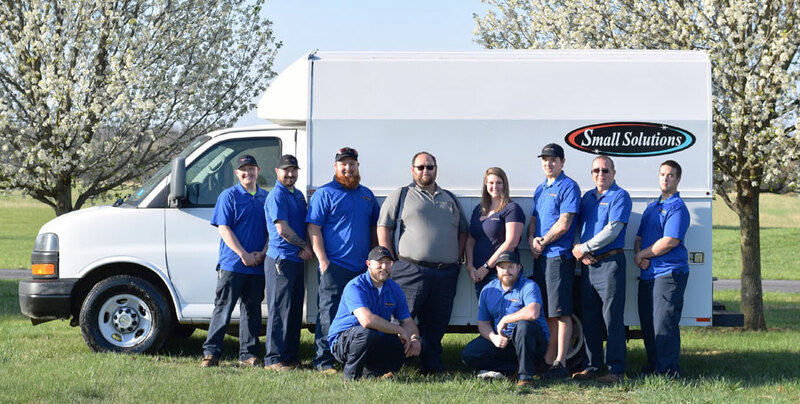 Started by Dylan Smallwood, Small Solutions, LLC is a small business Class A Contractor with qualified certifications in HVAC, gas, liquid petroleum, and electrical services. This means that Small Solutions, LLC offers you, the homeowner or business owner, a specialized one­ stop-shop for retrofits, duct work, boilers, Geo-Thermal systems, heat pumps, gas and oil, and many other mechanical capabilities. Small Solu­tions, LLC also offers a 24-hour emergency service with priority scheduling for maintenance agreement holders. We handle both commercial and residential customers, proving our customer service is well-rounded and capable of bringing you great customer service. We’re a flat-rate pricing company, meaning we charge by the job, so you’ll never pay an exaggerated hourly rate or for run-around time for parts and other materials. By eliminating the clock emphasis, our technicians don’t feel pressured to hurry, which at times can cause undesirable errors, and will ensure to take the necessary steps to accomplish the job in a timely manner. Our friendly and expert-trained HVAC technicians are available to repair the air conditioner or furnace in your home whenever you need us. We’ll arrive on time, in a fully-stocked truck, and can usually fix your problem on the first visit. We’ll take an in-depth look at your situation, offer available solutions, and fully educate you on your options. That way, you can feel confident about your choices and ask us any questions you have along the way. Before we begin the job, you’ll approve any costs associated with it, making sure that you don’t receive any unpleasant cost surprises after work is in progress. 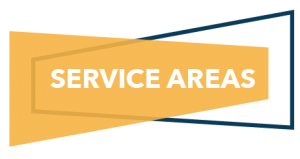 Our Service Areas…We’re In Your Neck of the Woods.